The sun is rising on Monday morning, January 1st, the first day of 2019. Where should you be? Pounding the trails of Lake Chabot, of course! 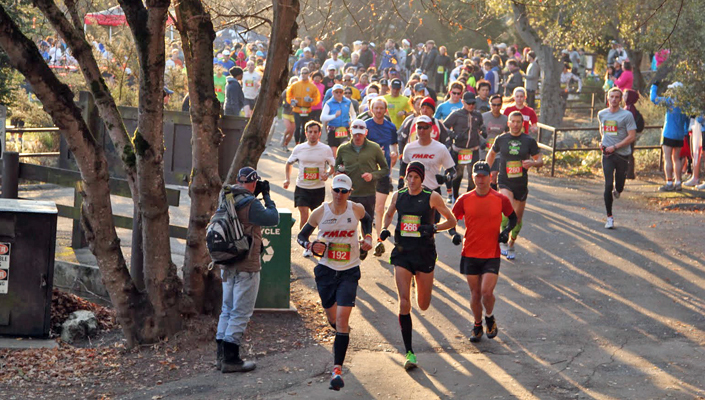 Join us at Lake Chabot in Castro Valley for the scenic and invigorating 5K, 10K or half marathon. 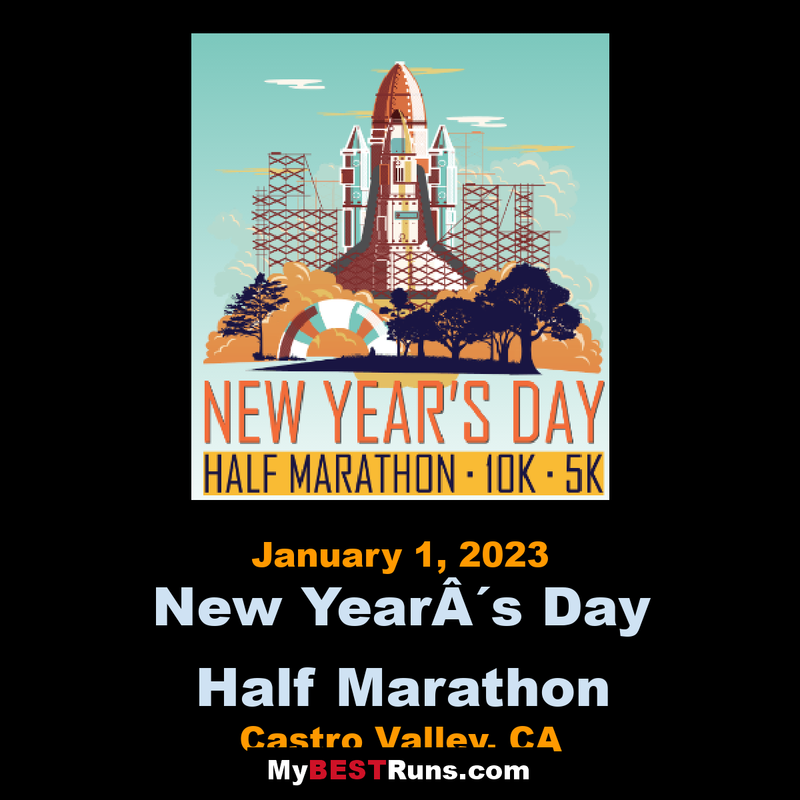 Better yet, make sure you run at the Brazen New Year's Eve race and then you can start 2019 with the highly coveted New Year Megan Medal! Take it even one step higher by running both half marathons (one on 12/31 and one on 1/1) and then brag to your friends: "It took me two years to finish that marathon"! Lake Chabot Reservoir was built in 1874-75 as a primary source of water for the East Bay. The 315 acre lake was closed to recreation for 91 years until legislation opened it up in the 1960s. Today the lake serves as a standby emergency water supply and is a favorite of local fisherman looking for trout, catfish, bass and other fish. 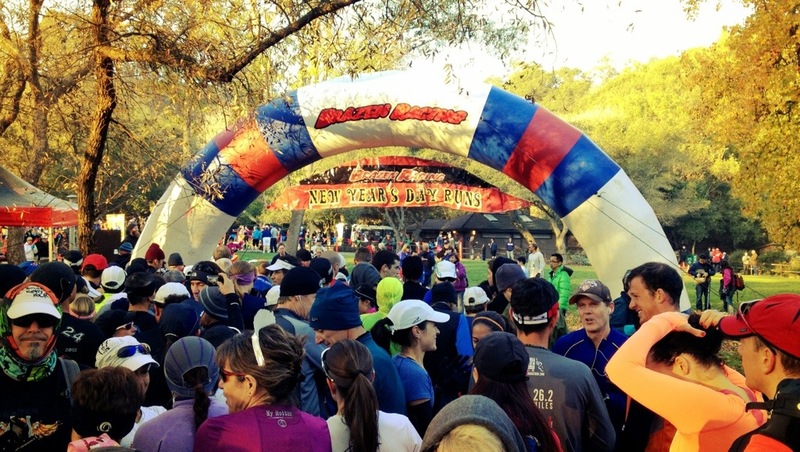 The Brazen Racing Philosophy: We know that running can improve lives. We believe that running makes people happy and that the happiness spreads to others. We think that every time someone is outdoors running, they are inspiring the others around them to also be active. And this explains why people run faster and happier in groups: the energy is contagious! This is why we run and this is why we put on running events. Success, for our races and our runners, cannot be guaranteed. If we never fail, it is likely we never pushed hard enough to find out our true limits. The Brazen Racing attitude, and the spirit we try to bring with all we do, is to never be afraid to make a mistake or fail. The only true failure is never daring to try to go further in the first place.